There are no Chinese golfers participating in The Masters this week, and perhaps that is fitting. It's already been a rough spring for "the rich man's game" in China. On March 30, Chinese authorities announced the closure of 66 "illegal" golf courses -- roughly 10% of all courses in the country -- in an apparent attempt to start enforcing a long-ignored ban on golf-related construction. Dan Washburn is Chief Content Officer at the Asia Society and author of The Forbidden Game: Golf and the Chinese Dream. The following day, the Commerce Ministry announced that one of its senior officials was under investigation for "participating in a company's golf event," thus putting him on the wrong side of President Xi Jinping's "eight rules" against extravagance among government officials. In Xi's China, being put "under investigation" is tantamount to being found guilty. Since embarking on his seemingly ceaseless anti-corruption campaign more than two years ago, hundreds of thousands of officials at all levels of government have been put in the crosshairs. The biggest names caught in the web are called "tigers." That's not a golf reference, but China's current crackdown on the sport does show how pervasive and unpredictable Xi's crusade has become. As I wrote in my book on the topic, China has long had a complicated relationship with golf. Mao Zedong banned it, denouncing golf as the "sport for millionaires." Even after China opened up and golf re-emerged in the mid-1980s, largely as a way to attract foreign investment, the sport was saddled with serious image problems. The construction and maintenance of golf courses is particularly resource intensive. China is home to 20% of the world's population, yet just 7% of its fresh water and 9% of its arable land, one-fifth of which is polluted. Golf also remains prohibitively expensive in China (this was one thing about which Mao was right) and it has earned a reputation as a self-indulgent, elitist pursuit. In a nation of 700 million peasant farmers, only a small sliver of the population can afford to play the game. That small sliver should not include anyone living off the salary of a public official, but it often has over the years. At best, the public would view these backswinging bureaucrats as out of touch. At worst, they are thought to be totally corrupt. 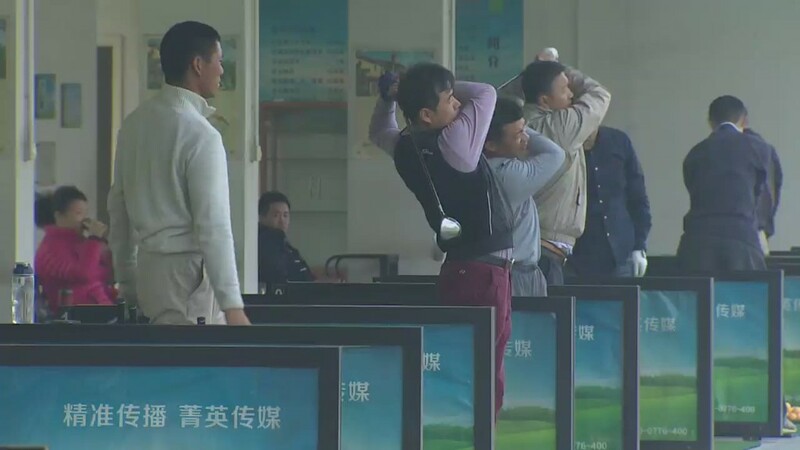 In Guangdong province, the birthplace of golf in modern China, an investigative team has been formed to crack down on officials who took part in any of nine golf-related activities. There's even a public hotline for reporting suspected golf violations. Over the past decade, however, not much seemed like it could get in the way of golf's meteoric growth in China. While it's been illegal to build new golf courses in China since at least 2004, no other country has built more of them over the past decade -- not even close. Beijing would say new construction is banned, while at the same time local governments would line their pockets with the proceeds from the boom. There didn't seem to be too many rules in all of this, but one was especially important: When building a golf course in China, don't call it a golf course. One massive project of note was known as "ecological restoration." There were crackdowns. But most were regional and temporary. And at the end of the year, you could always count on two things: a dramatic increase in the number of golf courses in China, and rumors that the Chinese government was about to legitimize and regulate the industry. Just wait and see how many golf courses get built then, people would say. This past year, however, things changed dramatically. This current crackdown actually seems to be one of the rare times that industry rumors ended up becoming reality. Last fall, everyone was abuzz with unofficial word of up to 100 courses being shut down in the coming year. Construction had already almost come to a complete halt, and scrutiny seemed to be shifting to existing courses. 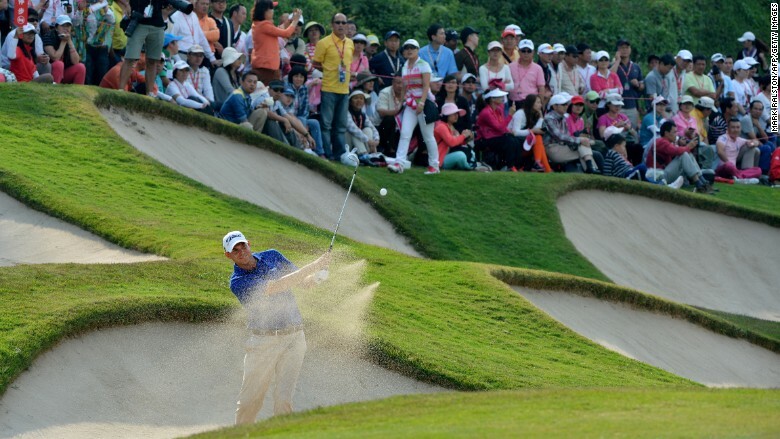 Bill Haas plays from the bunker at the 15th hole during the WGC-HSBC Champions tournament held in China. This crackdown is indeed real and serious -- over dinner recently in Hong Kong, I was shown photos of fairways with thousands of newly planted trees on them -- and it appears to be far-reaching. Courses on the tropical island of Hainan, where golf seemingly had the green light, have been impacted, as have well-connected developers who most assumed would be untouchable. The focus of the crackdown appears to be not just a golf course's mere existence, but its impact on land and water supplies. These are valid concerns, especially in China, but who knows if the closures will really address those serious issues or just provide fodder for headlines. It will be interesting to see how many of the 66 courses on the government's list close, and stay closed. And it will be even more interesting to see what that land is being used for five years from now. This is a weird time in China. Xi's campaign against corruption has created a very tense and uncertain business and political climate. And yet, in some ways, things seem to be China as usual. Just days before the latest golf crackdown was announced, it was widely reported that Tiger Woods had signed a $16.5 million deal to redesign two courses in China. The week after The Masters, Bubba Watson, the No. 3 golfer in the world, is scheduled to compete in the $2.5 million Shenzhen Invitational, the latest international golf tournament to land on China's shores. Meanwhile, the Chinese government quietly continues to funnel an unprecedented amount of money into its national golf team, all in pursuit of those all-important Olympic medals. So what does this all mean? 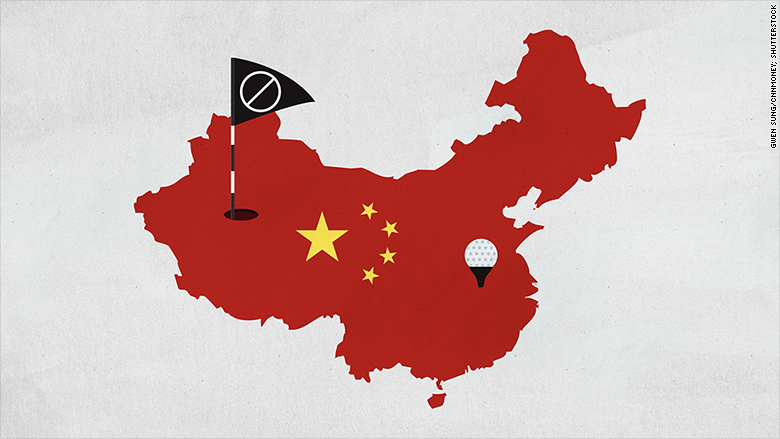 And what does the future hold for golf in China? Every time I am asked that, I am reminded of a new take on an old joke: If you want to make China laugh, tell it about your predictions.